I was born and raised in Vancouver. I am a lawyer at Murphy Battista’s Vancouver office. My practice focuses on personal injury, tort and insurance claims. Exclusively acting for plaintiffs, I have successfully litigated complex claims in both the Supreme Court of British Columbia and Court of Appeal. My focus is on personal injury cases in the areas of motor vehicle collisions, slip-and-falls, and other accidents. I have worked on cases involving traumatic brain injuries, psychiatric and psychological injuries, chronic pain, significant soft tissue injuries and other physical injuries. In addition, I work in the fields of commercial host liability, property insurance denials, life insurance denials, disability benefit denials, and government and police liability. Before my legal career began, I worked as a lifeguard and later in the security industry. I have lived in Edmonton, Victoria, Bowen Island and Queensland, Australia. I obtained his Bachelor of Arts (political science) from UVic in 2009, and my Juris Doctor from Bond University (Australia) in 2012. I was called to the British Columbia bar in 2013. Outside of work, I enjoy spending time with friends and family, listening to masterpieces of 80’s popular music, and volunteering for social causes of conscience. Jeff Nieuwenburg acted for the plaintiff on an appeal regarding a finding of contributory negligence on her part and failure to mitigate her damages. The appeal was successful in part with the court finding there was no evidence that the plaintiff failed to follow a treatment, that would have decreased her damages and the failure to mitigate finding was set aside. In the result, this meant that the plaintiff was entitled to recoup the 75% reduction that had been applied to her damages award for failure to mitigate. 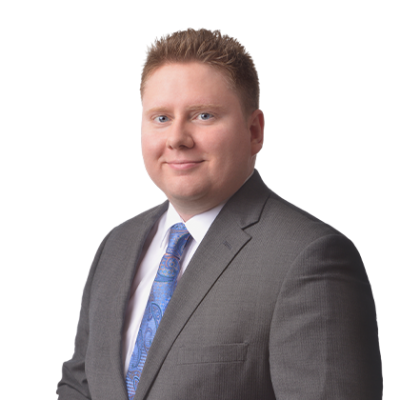 Jeffrey Nieuwenburg acted for the plaintiff on an application by the plaintiff for production of documents from the defendant which include liability documents, privileged documents from its list of documents, and an affidavit of documents. The plaintiff also sought costs. There was a 15-day jury trial in this matter scheduled for February 2018. The plaintiff alleged that the defendant municipality was negligent in its winter maintenance of the road where the accident that injured the plaintiff had occurred. The plaintiff claimed her injuries disabled her from working and most activities of daily living. While the Jury found the parties shared liability it awarded the plaintiff damages of $3,576,600. The Jury also found the plaintiff had failed to mitigate her damages. The plaintiff later appealed and was partly successful in that the BC Court of Appeal set aside the Jury finding that she had failed to mitigate her damages (see: Rhodes v. Surrey (City), 2016 BCSC 1880). Kevin Gourlay acted for a young woman and mother of three who was injured in a motor vehicle accident. At the time of trial, she continued to suffer from mid-back pain as a result of the accident. The Court awarded damages of $91,700, including $60,000 for pain and suffering. Do I need a lawyer? ICBC’s ad campaign…what they don’t tell you. On this episode of the Law Show Murphy Battista LLP lawyers Joe Murphy, QC and Jeffrey Nieuwenburg discuss protecting yourself from a motor vehicle lawsuit, vicarious liability, and what to keep in mind when you are looking for insurance to make sure you are adequately covered. On this episode of the Law Show Murphy Battista LLP lawyers Joe Murphy and Jeffery Nieuwenburg discuss negligence, and liability arising out of accidents on school trips, educational benefits vs. risk, and the importance of having proper insurance. My practice focuses on personal injury, tort and insurance claims. Exclusively acting for plaintiffs, I have successfully litigated complex claims in both the Supreme Court of British Columbia and Court of Appeal.